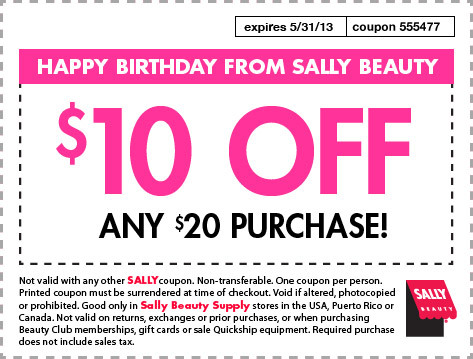 I've got Sally's $10 off $20 coupon on the blog today. And Happy Birthday to Traci who shared this with us all. That's it for now, Till later. God Bless.